Segue, abaixo, a íntegra da reportagem de capa da revista TIME dessa semana, encerrando o ciclo de 30 anos de orientação nutricional equivocada. By 1980 that wisdom was codified. The U.S. Department of Agriculture (USDA) issued its first dietary guidelines, and one of the primary directives was to avoid cholesterol and fat of all sorts. The National Institutes of Health recommended that all Americans over the age of 2 cut fat consumption, and that same year the government announced the results of a $150 million study, which had a clear message: Eat less fat and cholesterol to reduce your risk of a heart attack. The food industry–and American eating habits–jumped in step. Grocery shelves filled with “light” yogurts, low-fat microwave dinners, cheese-flavored crackers, cookies. Families like mine followed the advice: beef disappeared from the dinner plate, eggs were replaced at breakfast with cereal or yolk-free beaters, and whole milk almost wholly vanished. From 1977 to 2012, per capita consumption of those foods dropped while calories from supposedly healthy carbohydrates increased–no surprise, given that breads, cereals and pasta were at the base of the USDA food pyramid. We were embarking on a “vast nutritional experiment,” as the skeptical president of the National Academy of Sciences, Philip Handler, put it in 1980. But with nearly a million Americans a year dropping dead from heart disease by the mid-’80s, we had to try something. But making that case is controversial, despite the evidence to support it. The vilification of fat is now deeply embedded in our culture, with its love-hate relationship with food and its obsession over weight. It has helped reshape vast swaths of agriculture, as acre upon acre of subsidized corn was planted to produce the sweeteners that now fill processed foods. It has changed business, with the market for fat replacers–the artificial ingredients that take the place of fat in packaged food–growing by nearly 6% a year. It’s even changed the way we talk, attaching moral terms to nutrients in debates over “bad” cholesterol vs. “good” cholesterol and “bad” fat vs. “good” fat. Research that challenges the idea that fat makes people fat and is a dire risk factor for heart disease is mounting. And the stakes are high–for researchers, for public-health agencies and for average people who simply want to know what to put in their mouth three times a day. The myopic focus on fat has warped our diet and contributed to the biggest health crises facing the country. It’s time to end the war. Keys’ work became the foundation for a body of science implicating fat as a major risk factor for heart disease. The Seven Countries Study has been referenced close to 1 million times. The vilification of fat also fit into emerging ideas about weight control, which focused on calories in vs. calories out. “Everyone assumed it was all about the calories,” says Lustig. And since fat contains more calories per gram than protein or carbohydrates, the thinking was that if we removed fat, the calories would follow. Keys’ unshakable confidence and his willingness to take down any researcher who disagreed with him was at least as important as his massive data sets. (When the biostatistician Jacob Yerushalmy published a 1957 paper questioning the causal relationship between fat and heart disease, Keys responded sharply in print, claiming that Yerushalmy’s data was badly flawed.) Keys’ research also played into a prevailing narrative that Americans had once eaten a largely plant-based diet before shifting in the 20th century to meals rich in red meat. Heart disease followed, as if we were being punished for our dietary sins. The reality is that hard numbers about the American diet are scant before midcentury and all but nonexistent before 1900. Historical records suggest Americans were always voracious omnivores, feasting on the plentiful wild game available throughout the country. In his book Putting Meat on the American Table, the historian Roger Horowitz concludes that the average American in the 19th century ate 150 to 200 lb. of meat per year–in line with what we eat now. 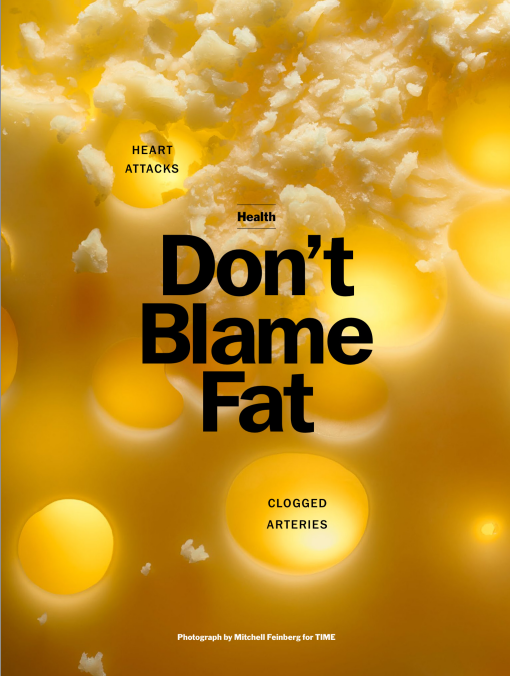 But the antifat message went mainstream, and by the 1980s it was so embedded in modern medicine and nutrition that it became nearly impossible to challenge the consensus. Dr. Walter Willett, now the head of the department of nutrition at the Harvard School of Public Health, tells me that in the mid-1990s, he was sitting on a piece of contrary evidence that none of the leading American science journals would publish. “There was a strong belief that saturated fat was the cause of heart disease, and there was resistance to anything that questioned it,” Willett says. “It turned out to be more nuanced than that.” He had been running a long-term epidemiological study that followed the diets and heart health of more than 40,000 middle-aged men. Willett found that if his subjects replaced foods high in saturated fat with carbohydrates, they experienced no reduction in heart disease. Willett eventually published his research in the British Medical Journal in 1996. In part because of Willett’s work, the conversation around fat began to change. Monounsaturated and polyunsaturated fats–the kind found in some vegetables and fish–were found to be beneficial to heart health. The Mediterranean diet, rich in fish, nuts, vegetables and olive oil, surged in popularity. And it’s worth noting that the Mediterranean diet isn’t low in total fat–not at all. Up to 40% of its calories come from poly- and monounsaturated fat. Today, medical groups like the Mayo Clinic embrace this diet for patients worried about heart health, and even the fat-phobic AHA has become receptive to it. “There is growing evidence that the Mediterranean diet is a pretty healthy way to eat,” says Dr. Rose Marie Robertson, the chief science officer of the AHA. But that’s not the full picture. The more we learn about fat, the more complex its effects on the body appear. The idea that saturated fat is bad for us makes a kind of instinctive sense, and not just because we use the same phrase to describe both the greasy stuff that gives our steak flavor and the pounds we carry around our middles. Chemically, they’re not all that different. The fats that course through our blood and accumulate on our bellies are called triglycerides, and high levels of triglycerides have been linked to heart disease. It doesn’t take much of an imaginative leap to assume that eating fats would make us fat, clog our arteries and give us heart disease. “It sounds like common sense–you are what you eat,” says Dr. Stephen Phinney, a nutritional biochemist who has studied low-carb diets for years. 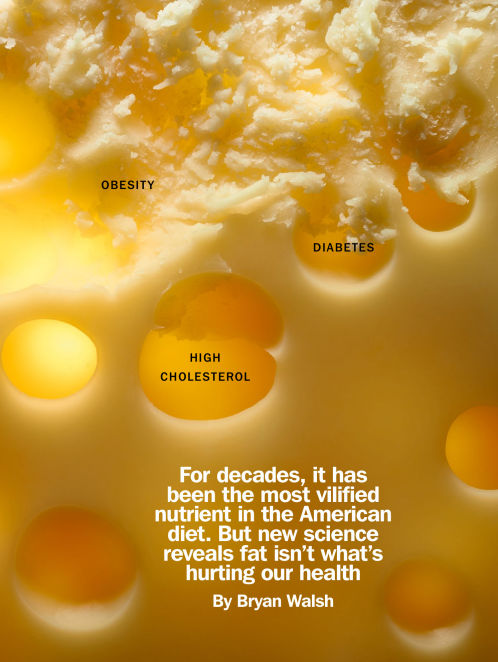 But when scientists crunch the numbers, the connection between saturated fat and cardiovascular disease becomes more tenuous. A 2010 meta-analysis–basically a study of other studies–concluded that there was no significant evidence that saturated fat is associated with an increased risk of cardiovascular disease. Those results were echoed by another meta-analysis published in March in the Annals of Internal Medicine that drew on nearly 80 studies involving more than half a million subjects. A team led by Dr. Rajiv Chowdhury, a cardiovascular epidemiologist at Cambridge University, concluded that current evidence does not support low consumption of saturated fats or high consumption of the polyunsaturated fats that are often considered heart healthy. Though the authors came under criticism for the way they evaluated the evidence, they stand behind the conclusion, noting that the aim of their study is to show the need for more research. “The main message is that there’s a lot more work that needs to be done,” says Chowdhury. Given that the case on saturated fat was long considered closed, even calls to re-examine the evidence mark a serious change. But if the new thinking about saturated fats is surprising, it may be because we’ve misunderstood what meat and dairy do to our bodies. It’s incontrovertibly true that saturated fat will raise LDL-cholesterol levels, which are associated with higher rates of heart disease. That’s the most damning biological evidence against saturated fat. But cholesterol is more complicated than that. Saturated fat also raises levels of the so-called good HDL cholesterol, which removes the LDL cholesterol that can accumulate on arterial walls. Raising both HDL and LDL makes saturated fat a cardio wash.
It’s important to understand that there’s no such thing as a placebo in a diet study. When we reduce levels of one nutrient, we have to replace it with something else, which means researchers are always studying nutrients in relation to one another. It’s also important to understand that the new science doesn’t mean people should double down on cheeseburgers or stir large amounts of butter into their morning coffee, as do some adherents of ultra-low-carb diets. While saturated fat increasingly seems to have at worst a neutral effect on obesity and heart disease, other forms of fat may be more beneficial. There’s evidence that omega-3s, the kind of fat found in flaxseed and salmon, can protect against heart disease. A 2013 study in the New England Journal of Medicine found that a diet rich in polyunsaturated and monounsaturated fats significantly reduced the risk of major cardiovascular events. Those consequences have been severe. From 1971 to 2000, the percentage of calories from carbohydrates increased nearly 15%, while the share of calories from fat fell–in line with expert recommendations. In 1992, the USDA recommended up to 11 servings a day of grains, compared with just two to three servings of meat, eggs, nuts, beans and fish combined. School districts across the country have banned whole milk, yet sweetened chocolate milk remains on the menu as long as it’s low-fat. The idea here was in part to cut calories, but Americans actually ended up eating more: 2,586 calories a day in 2010 compared with 2,109 a day in 1970. Over that same period, calories from flour and cereals went up 42%, and obesity and Type 2 diabetes became veritable epidemics. “It’s undeniable we’ve gone down the wrong path,” says Jeff Volek, a physiologist at the University of Connecticut. It can be hard to understand why a diet heavy on refined carbs can lead to obesity and diabetes. It has to do with blood chemistry. Simple carbs like bread and corn may not look like sugar on your plate, but in your body, that’s what they’re converted to when digested. “A bagel is no different than a bag of Skittles to your body,” says Dr. Dariush Mozaffarian, the incoming dean of nutrition science at Tufts University. Ultra-low-carb diets have come in and out of vogue since Dr. Robert Atkins first began promoting his version nearly 50 years ago. (It has never been popular with mainstream medicine; the American Diabetic Association once referred to the Atkins diet as a “nutritionist’s nightmare.”) Studies by Westman found that replacing carbohydrates with fat could help manage and even reverse diabetes. A 2008 study in the New England Journal of Medicine that looked at more than 300 subjects who tried either a low-fat, a low-carb or a Mediterranean-style diet found that people on the low-fat diet lost less weight than those on the low-carb or Mediterranean diet, both of which feature high amounts of fat. Those results aren’t surprising–study after study has found that it’s very difficult to lose weight on a very low-fat diet, possibly because fat and meat can produce a sense of satiety that’s harder to achieve with carbs, making it easier to simply stop eating. Nearly every expert agrees we’d be healthier if more of our diet were made up of what the writer Michael Pollan bluntly calls “real food.” The staggering rise in obesity over the past few decades doesn’t just stem from refined carbohydrates messing with our metabolism. More and more of what we eat comes to us custom-designed by the food industry to make us want more. There’s evidence that processing itself raises the danger posed by food. Studies suggest that processed meat may increase the risk of heart disease in a way that unprocessed meat does not. How we eat–whether we cook it ourselves or grab fast-food takeout–matters as much as what we eat. So don’t feel bad about the cream in your coffee or the yolks in your eggs or the occasional steak with béarnaise if you’ve got the culinary chops–but don’t think that the end of the war on fat means all the Extra Value Meals you can eat. As Katz puts it, “the cold hard truth is that the only way to eat well is to eat well.” Which, I’m thankful to note, doesn’t have to include skim milk. This appears in the June 23, 2014 issue of TIME. Doutor, a política de privacidade da Time permite o senhor replicar este conteúdo? Digo isso porque existem sites, como a Andandtech, que não permitem. De qualquer jeito, obrigado por compartilhar esta matéria! "There’s also the uncomfortable fact that meat, especially beef, has an outsize impact on the planet. Nearly a third of the earth’s total ice-free surface is used in one way or another to raise livestock. 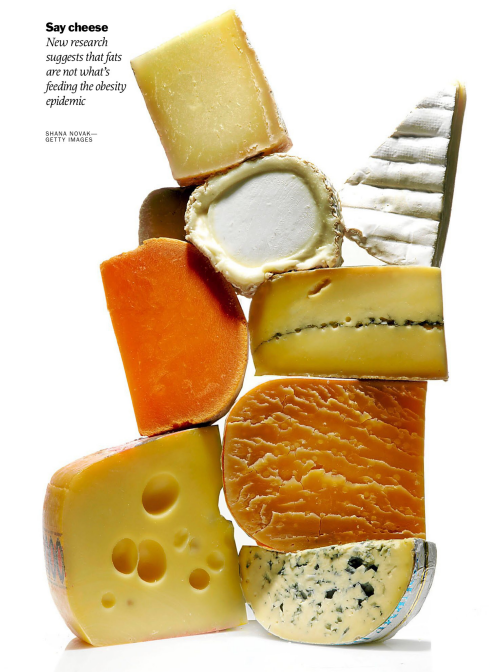 Even if eating more fat is better for us–which Ornish doesn’t believe–it could carry serious environmental consequences if it leads to a major increase in meat consumption"
Eu tenho até vontade de chorar quando vejo seus links traduzidos...rs. Doutor Souto, sou iniciante nesse modo de vida, low carb Paleo, por isso tenho algumas dúvidas. O senhor poderia elencar quais os erros mais comuns que um iniciante comete da dieta Paleo? Fantásticas as suas traduções!! Obrigada! Também adoro suas traduções. Tanks!!!! 1º - O relatório é sobre produção pecuária e NÃO sobre vegetarianismo. 2ª - O tubo digestivo dos seres humanos NÃO é herbívoro ou frugívoro. 3º - O Homo Sapiens sempre ingeriu alimentos de origem animal. 4º - Não há registo de sociedades antigas ou de antepassados vegetarianos, aliás quanto mais atrás se vá nos restos arqueológicos mais isso é óbvio. 5º - A alimentação vegetariana é a mais artificial da História. 6º - O carnivorismo é natural e normal há centenas de milhões de anos e milhões de espécies sobreviveram graças a serem carnívoras. 7º - O vegetarianismo ou o veganismo NÃO se baseiam em Ciência mas são sistemas de crenças, como se pode comprovar pelas justificações que aqui se lêem. 8º - Justificar o vegetarianismo com documentos Essénios é um problema de crança pessoal. 9º - A Ciência Histórica faz-se cruzando informações diversas para se tentar chegar a algo próximo da verdade: quando existem mais registos num determinado sentido, do que noutro, assume-se que o que tiver mais registos é o verdadeiro. 10º - O Jesus Histórico nunca foi considerado vegetariano, pois para além de comer peixe com os Apóstolos pescadores, ele fazia o que os outros Judeus faziam: comer 1 cordeiro branco com 1 ano todas as Páscoas. Os comentários que aqui se vêem são profundamente preocupantes, pois revelam como a sociedade está muito longe da Ciência." Já cheguei à pensar em me "cadastrar" em seu blog como médico/Paleo, no entanto, te confesso que até o momento não somente te admiro como te "invejo", pois não fui muito capaz de convencer muitas pessoas para esta dieta saudável (quase nada ou muitíssimo pouco). E como tentei! E Muito! Estou há mais de 1 ANO NA TENTATIVA, mas sem sucesso! Triste e desanimado! Confesso e estou até desistindo do fato, pois parece-me que estou fazendo papel de louco/desequilibrado. Não possuo o seu dom da palavra, os seus predicados. Mas sempre indicando o seu Blog! Mesmo não tendo retorno à respeito, talvez.....Por este motivo, te admiro a cada dia mais! Fico no que sei fazer. E continuo te "invejando", pela sua Grande Capacidade!!! O Trabalho que faz, é realmente de EXTREMA GRANDEZA E GRANDIOSIDADE. PARABÉNS!!! magnésio pode ser ingerido na forma de óxido de mg. Este é sempre indicado, ajuda nas cãibras, no sono, ajuda no controle glicêmico, evita que o cálcio se deposite nas artérias, ajuda nas arritmias. No caso do cálcio, penso que somente se a dieta é pobre em cálcio. Se for caso de osteoprose, é muito mais importante sol e vit D. Quanto ao suplemento, parece que uma alimentação onde peixes e crustáceos, frutos do mar estão presentes resolve este caso. Se comer peixe não é o hábito, pode ser que 1 a 3g de óleo de peixe ao dia pode seja uma boa opção. Gostei do texto. Boa parte baseada no livro "The Big Fat Surprise" que também tem muito do "Good Calories and Bad Calories". Só não gostei da parte que se coloca polinsaturadas e monoinsaturadas como benéficas. Sabemos que as poli não são. Dr. Souto, hoje eu iniciei o uso de amido resistente, consumi 1 colher de sopa de polvilho doce (marca Kodilar, foi a única que encontrei e resolvi testar) dissolvido em água, logo após o consumo, tive uma sensação de mal estar, fraqueza, sonolência, desânimo, além de uma sensação ruim na barriga, embora meu intestino funcionou logo após (sem diarreia ou gazes). É normal sentir estes sintomas? Se sim, dura quanto tempo? Ou seria um sinal de que esta marca não é confiável? Outra dúvida, a faseolamina (farinha do feijão branco) é um tipo de amido resistente (já que tem resultados semelhantes)? Espere alguns dias. Se continuar assim, substitua por fécula de batata. Também pode ser interessante saber a sua glicose antes e depois. Use o sal rosa do Himalaia e a preocupação com suplementação mineral simplesmente desaparece. E boa parte da fome durante o dia também. Salvo para futura utilização. Argumentação perfeita, muito bom. Veja esse link: http://chriskresser.com/why-you-should-think-twice-about-vegetarian-and-vegan-diets É o texto mais completo que já li sobre o assunto! E nós temos dentes caninos até hoje... animais vegetarianos tem caninos? Olá Patrícia, obrigada pelos esclarecimentos. Mas estes sintomas relatados são normais? Junior, obrigada pela sua resposta. Não me parecem normais. O que é normal são os gases, que duram em torno de 15 dias apenas. Se não está te fazendo bem, pare! uma diferença grande na ação no organismo entre eles ? Muito obrigado!! Obrigado, mas no caso do magnésio, sendo ele quelado não seria de mais fácil absorção do que o encontrado no sal rosa? O quelado é melhor, mais caro e mais difícil de achar. A conclusão da meta-análise do Chowdhury diz que "não há evidências de que as mono e poliinsaturadas sejam benéficas", assim como "não há evidências de que as saturadas sejam maléficas". Dr. é verdade que o consumo de gordura atrapalharia na restauração do intestino danificado e que o ideal seria reduzir o consumo de gordura durante esse período de restauração? Obrigado Dr. Souto. Aproveito para lhe perguntar quando irás ao RJ promover a paleoideologia?! "Dr. Dean Ornish, founder of the nonprofit Preventive Medicine Research Institute, whose low-fat, almost vegan diet has been shown in one study to reverse arterial blockage"
Um estudo apenas contra dezenas de estudos mostrando que ele está errado? E, muito provavelmente, é um estudo populacional/epidemiológico de qualidade bem duvidosa. Para acabar com o maldito do Ornish, poderiam ter salientado isso na reportagem. Um parênteses rápido explicando a diferença já seria suficiente para acabar com a graça dele. sim, vários têm. cavalos, por exemplo. de cabeça lembro até de umas espécies de "veados dente-de-sabre", rs, é impressionante. Hipopótamos... enfim, vários. milhões de espécies sobreviveram graças a serem carnívoras." <- achei esse argumento incrivelmente falho. Ora, também temos milhaaares de espécies que sobreviveram e sobrevivem sendo herbívoras - na verdade são maioria, ou as teias alimentares entrariam em colapso. da mesma forma que temos mais vegetais do que herbivoros. nada a ver esse paralelo maluco. Se começar uma discussão sobre isso, vou deletar tudo. Uma das melhores formas de magnésio para suplementação é o aspartato de magnésio. Esta forma de magnésio é quelada com ácido aspártico (uma aminoácido) e possui alta absorção. Será que com essa publicação tão renomeada, a SBC não vai mudar suas diretrizes? Muitíssimo obrigada Hilton. Posso abusar um pouquinho da sua boa vontade, rsrsrs. Dá pra você traduzir aquela receita de pão sem farinha pra gente. o "Oopsies"? Agradeço antecipadamente!!! Abraço. A presença de presas não define herbívoros ou carnívoros, pessoal. Os elefantes, por exemplo, usam aquelas presas enormes para se alimentar? Hilton, a salvação da lavoura. Só que ao longo do dia, mesmo sem passar de 20 carbos e com ingesta de gorduras, tenho marcado 110, 118 - 02 horas depois da refeição, em algumas vezes..
Percebi que isso acontece 1 ou 2 dias depois de perídos de jejum de 16, 20 horas... Há alguma relação entre o aumento de glicemia e jejum intermitente?? Eu conheço um vegano, e desde que se tornou vegano passou a tomar injeções de citoneurim 4 vezes por ano, e ele diz que sempre foi e é saudável, não é atleta ou praticante intensivo de algum esporte. As pessoas que o conhecem a mais tempo dizem que ele era mais forte mais encorpado quando era mais novo, eu já o conheci vegano. Independentemente de vegetarianismo ou não, creio que só seja necessário suplementar algo se há necessidade que a alimentação não supre, ou alguma deficiência no organismo da pessoa, resta saber os porquês dessas injeções. Pesquisando, li que nós humanos ainda não conseguimos sintetizar todos os aminoácidos, como ocorre nos outros herbívoros. Dos 22 existentes, conseguimos sintetizar 13, os outros 9 precisam vir da alimentação. E nas proteínas AVB possui a disponibilidade dos 22 numa proporção igualitária. Nos alimentos de origem vegetal os aminoácidos existem, mas e/ou falta algum aminoácido essencial e/ou a proporção está mais diferente, e essa combinação dos AVB é importante para minimizar a perda de massa muscular, perda esta que pode trazer consequências ruins como insensibilidade a insulina e sindrome metabólica. É uma combinação de fatores em que se deve refletir. Eu gosto muito do vegetarianismo pela diversidade de vegetais e justamente por ele ser diferente do equivoco que foi a piramide alimentar na nossa alimentação, porém não arriscaria o vegetarianismo pela possibilidade de deficiência de nutrientes e suas consequências a longo prazo. Se na natureza a cadeia alimentar existe, creio que não seja anti-natural estar obtendo nutrientes de outros animais. Caro dr José Carlos, sou sua colega, intensivista adulto, interessada em melhorar minha qualidade de vida com atividade física regular (iniciada há mais de um ano) e dieta (há alguns meses). Buscando inspirações, acabei encontrando seu blog. Pra mim, um mundo novo se apresentando, muito interessante, diferente do que conhecia. Obrigada por dividir conosco o que vc acredita, baseado em informações consistentes. Grande abraço, com certeza serei visita freqüente em seus posts daqui pra frente. Acrescento para esclarecer aos que não conhecem as práticas alimentares cristãs, que o fato de excluírem a carne de sua dieta em determinados períodos do ano, não está associado a nenhuma razão natural, como se denotasse algum ativismo ecológico ou que carnes são ruins e fazem mal. Nada disso. A exclusão da carne em períodos de abstinência e jejum é justamente para denotar que o homem não vive só do alimento natural que lhe dá sustento (a carne) mas também do alimento espiritual (Deus e sua Palavra - "Nem só de pão vive o homem"). Isso quer dizer que a teologia cristã não corrobora com nenhum movimento contra o consumo de carne. R. Leite, na verdade, ele quis dizer que o carnivorismo é natural para nós humanos. Nesse contexto, o argumento está correto. Tenho um livro aqui em casa que fala sobre todas as vitaminas, sais minerais e aminoácidos. Em cada seção, a autora vai elencando as fontes onde encontramos esses nutrientes e sempre ela começa, mais ou menos assim: encontramos esse nutriente em: carnes, vísceras, ovos, queijos e peixes, em geral... daí seguem as verduras e frutas, que vão se alternando conforme sua composição química. Ou seja, numa situação hipotética, seria mais saudável viver exclusivamente de carnes que exclusivamente de vegetais. Fernanda eu também sinto um pouco dessa fraqueza que você relata com a fécula (yoki) porem percebo que minha urina fica com um cheiro diferente coincidentemente. O cheiro é igual a quando eu comecei lowcarb e era obeso. No meu caso não incomoda, mas eu sinto como se precisasse comer um doce ou um pão. Retificando de 27 a 31. Do ponto de vista bíblico não há impedimento a alimentar-se de animais. E o jejum praticado pelos cristãos não significa que seja contrário a ingesta de carne. Comer peixe também não. Até mesmo porque comer carne ou não é livre arbítrio de cada um, não é um posicionamento cristão já que a bíblia não condena. E quem disse que funciona para todo mundo?? Eu não disse! *"*4) *Há pessoas que, devido ao grande excesso de peso que acumularam, ou devido a múltiplas dietas de restrição calórica prévias, apresentam o que alguns autores consideram um "desarranjo metabólico"*; isso inclui um grau de resistência à insulina e à leptina que torna o emagrecimento muito difícil. É como se o organismo se "agarrasse" ao tecido adiposo, ativamente tentando se proteger de uma escassez futura, preservando a todo o custo as reservas que possui." que *aqueles pacientes cujo excesso de peso foi causado pela resistência à insulina são os que melhor respondem à restrição de carboidratos. * Neste estudo, foram comparadas 4 dietas completamente diferentes. Embora a dieta low carb, como sempre, tenha se saído melhor que as demais NA MÉDIA, houve pacientes individuais que perderam grande quantidade de peso com TODAS as 4 dietas, e *houve pacientes que não perderam peso* em TODAS as dietas. " Valeu Dr, então é bola pra frente. E onde eu disse q vc disse q funciona pra todo mundo? Sua conclusão está muito elástica. Já li muitos apregoando essa dieta como uma alternativa viável e efetiva a TODOS sim, o q absolutamente é MENTIRA!!! Acho interessante abrir um espaço para os q tentaram a dieta e ela simplesmente não funcionou, coletar esses relatos e buscar alternativas. Deletar depoimentos negativos (e devem haver muitos!) é um grande desserviço. Eu achei muito válido saber q em algumas pessoas o índice glicêmico aumenta cerca de50% após iniciar o LCHF. Experiências negativas tbm fazem parte da vida e podem ser tão úteis qto as positivas. Mostrar só um lado da moeda é fazer propaganda é desonestidade intelectual; e quando utilizado para fazer dinheiro é charlatanismo. Desculpe, postei no local errado. Mais uma pergunta, há algum post aqui no site sobre musculação, hipertrofia, ganho de massa muscular, aliados ao LCHF? Varia Liste. Não encontro menos de 250mg. Veja bem, eu tinha cãibras e comecei com 250mg, não resolveu. Tive que aumentar para 400mg. Mantive assim por um bom tempo. Reduzi faz alguns meses pra 250mg novamente e não voltaram. É fácil perceber se vc excede o mg pq ele tem um leve efeito laxativo. Tome uma hora antes de dormir, pois ajuda no sono! Ok, cada um escolhe o nível de carbo que funciona para si. Minha abordagem é um pouco mais low carb. e sobre a gordura satura doutor aqui en casa o povo ta usando manteiga a torto e a direito pricipalmente eu,o senhor disse que o pricipal e a mono agora fiquei preocupado? Ovo é predominantemente insaturado. Bacon idem. Porco idem. Abacate idem. Não comendo manteiga pura o tempo todo, está bem. Bem, o certo é não fugir da gordura natural dos alimentos. Daí a acrescentar um monte de manteiga em todos os alimentos... depende do metabolismo de cada um. Tem gente que fica muito bem, e uns 20% das pessoas tem elevação forte do colesterol. Se você estiver nos 80%, pode continuar fazendo isso. Coigo aconteceu a mesma coisa. Batalhei muito nesta dieta, fiz tudo à risca, mas não deu resultado. Gostaria bastante de ter experimentado a perda que as pessoas relatam aqui, mas nada ... Após quase 5 meses de dificuldades desisti. Hoje venho controlando o peso comendo de tudo, pão, etc, apenas reduzindo as calorias. O bom e velho método calorias gastas - calorias consumidas. Por sinal é bem mais agradável, fácil e barato. Que bom que você encontrou uma alternativa que funciona pra você. Pois é colega, mas como sabemos na internet há de sobejo relatos exitosos; os fracassos não são partilhados (uma pena! Aprende-se tanto ou até mais com eles.) e por isso nós nunca vamos saber qual a real eficácia em porcentagem dessa dieta. Já li absurdos (não aqui) que incentivam a pessoa a comer APENAS 1000 cal/dia (90% gordura e 10% proteína) para sair do platô. Pouco se sabe dos efeitos dessa dieta a longo prazo; não há grupos que foram acompanhados por 1 ano ou mais nessa dieta (q eu saiba). Já li coisas ótimas e tbm já li coisas preocupantes como falência renal, resistência a insulina, aumento do ácido úrico, aumento alarmante da glicemia e até complicações vasculares como aterosclerose (http://www.pnas.org/content/106/36/15418.full). Boa sorte e força nessa batalha. Há estudo de 2 anos: Eur J Clin Nutr. 2014 Mar;68(3):350-7. doi: 10.1038/ejcn.2013.290. Epub 2014 Jan 29. Long-term effects of a Palaeolithic-type diet in obese postmenopausal women: a 2-year randomized trial. E quanto ao benefício ao *longo prazo? * Ninguém sabe. Por que ninguém sabe? Porque, em virtude da desinformação e do preconceito, as entidades patrocinadoras deste tipo de estudo nunca incluíram um braço low carb nos seus grandes estudos prospectivos e randomizados de longa duração (como oWHI ou o MRFIT ). Sabemos COM CERTEZA que low fat não é bom no longo prazo (esta já foi testada em estudos prospectivos e randomizados e fracassou SEMPRE ). No contexto evolutivo, uma faz sentido e a outra não . Nos estudos de até 3 anos de duração, low carb é SEMPRE melhor no que diz respeito aos fatores de risco cardiovasculares, perda de peso, etc, em mais de 18 estudos prospectivos randomizados (veja aqui , e aqui ). *Opção A (baixa gordura, alto carboidrato)* - é uma *novidade* introduzida em 1977, acreditava-se que era bom, foi testada no longo prazo e não mostrou benefício, e sua introdução coincidiu com uma epidemia de obesidade e diabetes sem precedente , e há mecanismos fisiopatológicos que poderiam explicar este efeito. Além disso, estudo prospectivo e randomizado recente mostrou que mata 30% mais do que uma dieta com mais gordura . as suspeitas de que fosse ruim . Em todos os estudos comparativos com a opção A , há melhora em relação a perda de peso e fatores de risco cardiovascular. Nunca foi formalmente testada no longo prazo (exceto, talvez, por 2,5 milhões de anos). B - *sabe-se que é benéfica* *no curto prazo*, apenas não foi testada no longo prazo, mas vem sendo praticada há 2,5 milhões de anos. these changes remain to be studied. Uma ilação deverás inconclusiva, na minha opinião. Aliás, nenhum dos benefícios citados (perda de peso moderada, perda de gordura abdominal, queda no triglicerídeos) são novidade. O grupo específico (mulheres obesas na faixa dos 60 anos) é uma minoria e não se sabe se os efeitos seriam os mesmo em um grupo heterogêneo. São as consequências que me preocupam. Por que os efeitos não foram sustentados por medidas antropométricas? Por que a adesão de proteínas foi ruim no grupo low fat? Consequências a serem estudas. Grato pela atenção e muito sucesso. O problema é o tipo de análise, chamada intent to treat. Ele compara os grupos, incluindo que está fazendo e quem largou. Se comparasse que SEGUE fazendo, seria bem diferente. Obrigado Dr. E eu não postei meu insucesso porque fiquei chateado, nem para criticar o blog nem nada. Apenas fiquei frustrado porque esperei demais. Um amigo meu perdeu 12 Kg seguindo paleo e mesmo comendo frutas. Mas eu sei que as pessoas são diferentes, e para a maioria das pessoas eu sei que a dieta paleo é eficaz, e por isso continuo incentivando as pessoas que queiram segui-la a fazer sua própria experiência, assim como continuo acreditando no grande serviço prestado pelo blog, tanto que continuo a segui-lo. A também a própria vida do Dr. Atkins, que viveu bem e veio a falecer com mais de 70 anos e mesmo assim por acidente, nada relacionado com a dieta de pouco carbo e muita gordura. Particularmente eu gosto muito da dieta LCHF. Prefiro mil vezes um bife ensanguentado frito na banha de porco do que torradinha com geléia light e chá de camomila. Detesto sentir fome e só como o que eu gosto (pena não existir cerveja low carb! Nem tudo é perfeito). Nunca me adaptei por muito tempo às dietas "passa fome". Se for para sentir fome e ficar de mau humor o dia todo nem tento. (Que raios de dieta que te deixa irascível pode fazer bem?). Praticamente não tive efeitos colaterais com a LCHF, exceto um calafrio nas mãos e pés (somente no primeiro dia) e mau hálito que passou em 3 semanas. Infelizmente, não perdi o peso que esperava (e precisava... ou melhor, preciso. ), apesar da EXCELENTE adaptação fisiológica e psicológica. O que eu entendi desse estudo apontado pelo sr. foi a baixa adesão de proteína no grupo que faz low carb e não na adesão da dieta. Tenho receio maior quanto os POSSÍVEIS malefícios que um excesso de proteína (20 a 30% do total calórico diário) pode causar a longo prazo, e não de gordura, como o identificado nesse estudo feito com 6 mil pacientes acompanhados por DEZOITO ANOS, onde uma faixa etária específica de idosos mostrou-se mais propensa ao câncer, diabetes mellitus e uma taxa de mortalidade 75% maior (http://www.cell.com/cell-metabolism/pdf/S1550-4131%2814%2900062-X.pdf). Não aceito, devido a nulidade de evidências científicas e lógica metafísica, a idéia de evolução (concordo plenamente que a maioria dos Homo sapiens do alto paleolítico não enchiam a barriga de trigo e similares. No baixo paleolítico é outra história apesar, é claro, do consumo de produtos de alto ig ser muito menor em qualquer época da História do que temos hoje). Contudo, mesmo se esta teoria estiver correta, temos que considerar que a expectativa de vida do indivíduo paleolítico não era superior a 30 anos. Logo, quais são as consequências dessa dieta numa população que atualmente atinge vive além dos 75 anos? Desculpe se estou sendo aborrecedor ou inconveniente. Grato pela atenção. Marcela, meu avô morreu com mais de 80 fumando feito uma chaminé desde os 7 anos. O velho nunca fez low carb, apesar de ser chegado numa gordura suína e ser magro feito uma vareta. Acredito que longevidade é, antes de tudo, uma condição genética. E minha maior preocupação é quanto a alta ingestão de proteínas, não de gordura animal. Abraços. As mulheres do estudo em questão comeram proteína de menos, não demais. Low carb não é de alta proteína. 1. A premissa que LCHF não é de alta proteína não resiste a menor análise e uma grande bobagem. Basta não ser um completo analfabeto em matemática para constatar o óbvio: LCHF é uma dieta onde 25% das calorias são proteínas. E daí, as dietas convencionais também não são? Claro q a porcentagem está próxima, mas dietas em geral tem calorias limitadas o q não ocorre na LCHF. Logo,uma pessoa (com baixa atividade física) em cetose pode facilmente ingerir cerca de 3000 mil cal/dia, ou próximo a 190 gramas de proteína; na média, mais de 2 gramas de proteína por quilo de massa magra, o que é um índice de fisiculturista. 2. Parabéns doutor. O sr. refutou um estudo que levou 18 anos para ser concluído em apenas uma linha. O sr. é um colosso. 4) O estudo não é um estudo de 18 anos. Um questionário foi aplicado UMA VEZ, 18 anos atrás, e ninguém mais viu o que as pessoas comiam a partir de então. E, 18 anos depois, se comparou o que houve. Mas, se você tivesse lido o linkl, saberia disso. 5) Estou sendo obrigado a bloqueá-lo por terceira reincidência em falta de educação, não posso ficar o dia inteiro editando seus comentários grosseiros. doutor solto estou olhando essas conversas desse cara ai,e impressão minha ou ele ta tirando onda com a cara do senhor? Sim, e minha extrema paciência chegou no limite, e já bloqueei. Nunca bloqueio ninguém por descordar de mim, mas com respeito. 4. Para contornar esses problemas recomendar-se-ia apenas o aquecimento dos ovos por alguns poucos minutos a uma temperatura menor que 70 graus, tanto para eliminar qualquer contaminação por salmonela, como para não prejudicar as proteínas existentes na gema e na clara, como também para neutralizar a ação da avidina, preservando tanto a biodisponibilidade das proteinas como da vitamina B 6, como da biotina. Parece uma boa ideia. Mas, quando eu lavo, lavo logo antes de usar. Dr Souto, tenho mais algumas dúvidas, primariamente em relação ao site bulletproof exec. 1. Ele recomenda comer cortes gordos de gado alimentado a pasto, e se o boi for alimentado com ração para comer partes mais magras. Moro no RJ, e mesmo aqui acho muito dificil achar carnes orgânicas, a maioria dos mercados recebem carnes de diversos fornecedores, e a maioria é Friboi, pelo que vi no site deles o gado é criado em confinamento. Sempre tenho comido acém ou fraldinha por ser mais gorda e barata. Como proceder? 2. Ele tem um infografico com o que comer, e vai do tóxico ao "bulletproof". Não uso mais adoçante, mas minha namorada sempre usa acessulfame, e ele coloca no fim da lista como pior que açúcar, e coloca o xilitol no topo junto com stevia, porém nao consumo poliois devido ao seu post sobre adoçantes, realmente a toxicidade eh essa? 3. Consumo quase diariamente queijos, embora hoje em dia já em menor quantidade que no início, ele coloca como tóxico qualquer queijo, por ter caseína, este tipo de problema com queijo é realmente universal ou só pra quem é alérgico? Ele é exagerado. Quanto ao gado, pode até fazer sentido tirar a capa de gordura. O xilitol é uma boa alternativa, bem melhor que o Maltitol (olha a tabela daquela postagem). O Sr. recomenda evitar cortes como acem, fraldinha, picanha em caso de não haver carnes orgânicas a disposição? O acém é mais complicado pelo fato de ser moída. Temo não encontrar com facilidade ou a preços mais acessíveis carne criada a pasto por aqui e ter que reduzir a ingestão de carne vermelha. O ótimo não pode ser o inimigo do bom. O Dr Mercola, nesse e outros posts, http://articles.mercola.com/sites/articles/archive/2011/09/02/why-does-this-commonly-vilified-food-actually-prevent-heart-disease-and-cancer.aspx fala sobre os problemas de comer ovos mexidos, ou com gema já dura, e recomenda primariamente comer ovos crus, e também alerta que ovos enriquecidos com omega 3 são os piores possíveis, fico então na dúvida. Tenho feito agora ovos fritos no óleo de coco e sempre tento virar os ovos para fritar o restante da clara e tentar comer o ovo com a gema mole, porém ainda estou aprendendo a fazê-los já que costumo virar e a gema estourar na hora. É realmente significante o risco maior de se comer ovos com colesterol oxidado de gema dura? Como sempre os ovos com omega 3 por serem mais baratos que os realmente orgânicos, o perigo é real e deveria usar somente orgânicos ou é um exagero? Exagero. Perigoso é pão francês. Quanto aos ovos de codorna, tenho achado com muito mais facilidades orgânicos, e olhando cuidadosamente vejo que possui ligeiramente mais nutrição e um pouco menos de omega-6, pode ser uma outra boa fonte de alimento também né? Este cara não sossega. Chega. Parabéns! Esse texto merece ser um depoimento publicado! Com certeza servirá de inspiração para aqueles que sofrem dos mesmos problemas que você enfrentou ;). Compre carne no mercado, não de monopólios. Suspeito que esse negócio de não cozinhar e não fritar seja uma teoria para favorecer a propaganda do ovo industrializado-higienizado-enriquecido-pasteurizado. Leticia, obrigada por compartilhar esse depoimento maravilhoso! ;) Obrigada. Achei que seria legal compartilhar com o pessoal, afinal tem muita gente no mesmo barco. Abraços, Patrícia. Foi minha intenção Pri. Acredito que existam vários caminhos para um emgrecimento saudável, depende de vários fatores. Esse foi e está sendo o meu. Além do mais, quando estamos felizes com algo geralmente dá vontade de falar pra todo mundo hehe. :) Bom dia pra vc. Há duas hipóteses para esse problema; primeiro: se você está emagrecendo, então está queimando gordura. As gorduras são depósitos de toxinas no seu organismo. Essas toxinas, agora livres das células de gordura, ficam transitando pelo seu organismo até serem eliminadas pela excreção ou definitivamente metabolizadas (o jejum intermitente ajuda nessa questão). Então, por causa das toxinas, surgem dores de cabeça, dores nas juntas, vermelhidão e urticária. Outra hipótese, que acho menos provável, diz respeito à utilização de determinado tipo de adoçante. Há relatos de uso excessivo de sucralose e urticária, vermelhidão e coceira. Seja como for, se for o mesmo que aconteceu comigo, com o tempo passa. Bom dia Dr. Souto!! Agradeço a resposta!! Esperava que fosse isso... duvida: devo refazer meus exames no final do mes. Se levar números como esses para minha médica certamente ela vai querer medicar como pre diabetes. Como devo proceder para evitar isso?? em tempo: nem vou elogiar o blog e seu trabalho...seria chover no molhado!! Mas tenho que registrar que adoro o seu bom humor!! Lógico que os posts são altamente relevantes e estou lendo todos. Mas o hit são as suas respostas nos comments!! Impagáveis!! Oi. Obrigado pela resposta. Eu estava usando este sabão quando começaram os sintomas, mas ja usei outras vezes e nunca tive problemas. Sucralose é um problema para alguns. pode ser intoxicação, reação alérgica... é bom ver um médico. Coma batatas, tapioca, etc (bastante) por 3 noites, e repita os exames. Vai dar normal. Estou começando a me informar sobre essa dieta há poucas semanas, e o que mais me chamou a atenção foi os relatos de melhoras nas doenças crônicas, como a rinite, que sofro desde pequena. Sou magra, pratico musculação 4x a 5x por semana por que adoro e meus treinos são sempre focados em crescimento muscular, força e hipertrofia. Sempre tive muita dificuldade em ganhar peso, mesmo comendo carboidratos a vontade, mas aos poucos fui tentando melhorar as fontes desses carboidratos, pois sempre tive em mente que seria possivel ganhar alguns quilinhos de massa muscular SEM acumular mais gordurihas localizadas, que sempre tive também. Gostaria de saber se isso é possível com a dieta paleo (??) Acredito que "engordar" de forma saudavel seja possivel, também. E você tomava bastante água? E quanto aos exercícios? Qual era sua ingestão de proteína? Roger, o blogspot.com é gratuito e livre. Crie seu blog e coloque nele todos os seus insucessos e escreva desse jeito esquisito, com metade da frase em minúsculo e a outra parte em MAIÚSCULO. Boa sorte e um lindo abraço. Ok. Mas qual a sua opinião em substituir esses carboidratos e, ficar com um cardápio na casa das 4000 calorias, já que o "cardápio" dá umas 6000 calorias!? Roger, mas esta forma de se alimentar não "prega" alta proteína, ao contrário, Dr. Solto fala sempre que deve ficar entre 1,5 a 2 gr de proteína por Kg de peso (acho que é essa a proporção), mas seja qual for, foi a mesma que médicos por ai a fora falaram. Até porque se voce quiser ficar em cetose, a alta proteína pode ser prejudicial, foi o que entendi lendo sobre o assunto. Mas em fim, tbm não perdi muito peso, já medidas e percentual de gordura foi bastante. Meus cabelos praticamente não caem mais. Minhas unhas não são mais quebradiças, estão quase iguais as do Wolverine (rs) e as medidas, claro, diminuíram. O humor excelente, com raríssimas exceções. Na primeira semana se foi 1,6kg (estou há cerca de 1 mês). E depois que criei coragem pra retomar a musculação, que já praticava antes, descobri uma FORÇA DESCOMUNAL em mim. Resultado: aumentei 600g. O saldo negativo da perda é de 1kg. Meu corpo tem pedido aumento das cargas e, claro, pedi um treino CURTO E INTENSO. É comum alguém perder tão pouco e já estagnar?! Ou será porque a musculação tá pesada e estou adquirindo músculos. O que fazer? Mudo alguma coisa?! Obs. : minha base de medição são as roupas e uma avaliação física que o personal fez há 2 meses, antes de começar low-carb. Serve tbm. Que mais?! Paciência? Jejum? Ou deixo tudo como está?! Estou com algumas dúvidas e tenho alguns relatos a fazer. Primeiro a parte boa: meus cabelos praticamente não caem mais. Minhas unhas não são mais quebradiças, estão quase iguais as do Wolverine (rs) e as medidas, claro, diminuíram. O humor excelente, com raríssimas exceções. Minha vesícula parou de doer completamente. Minha dúvida vem a seguir. Na primeira semana se foi 1,6kg (estou há cerca de 1 mês no total). Retomei a musculação e fui pegando mais pesado, de acordo com o que o corpo pedia. Treino intenso e curta duração. Descobri uma FORÇA DESCOMUNAL que não sabia que existia em mim. Resultado: aumentei 600g. O saldo negativo da perda é de 1kg. É comum alguém perder tão pouco e já estagnar?! Ou será porque a musculação tá pesada e estou adquirindo músculos em maior proporção do que perco peso gordo? O que fazer? Ou não fazer?! (rs) Paciência? Mudanças? Sinto que este ainda não é o ponto final da perda de peso, há muito excesso ainda que eu sei que carrego comigo. Mudo alguma coisa?! Obs. : minha base de medição são as roupas e uma avaliação física que o personal fez há 2 meses, antes de começar low-carb. Serve tbm. Que mais?! Paciência? Jejum? Ou deixo tudo como está e aguardo?! Alimentação: cortei praticamente todos os carbos; como muito de vez em quando raízes, mas em pouquíssima quantidade; aumentei o consumo de azeite de oliva, verduras, baicon, manteiga (bendito café..hummm..), gorduras dos animais eu traço de verdade, não cortei os queijos, mas não consumo mais que 03 fatias por dia. Temos salmonela até em alface. gente.. alguem sabe me dizer se glicemia em jejum de 8 horas de 86 é bom, ruim, péssimo ?!?!?! Obrigada !!! Temos ácido no estômago, que mata tudo isso na maioria das vezes. Caros colegas PLCHF, podem me indicar link de algum post ou site que contenha estudos dessa dieta em pacientes com cancer e em ex-pacientes? Boa noite Patricia, pode me esclarecer algumas dúvidas? Estou na LCHF ha uns 50 dias, com baixa ingesta de carbos (menos que 50g/dia), achei que perderia mais peso, mas ja me encontro num plato, li (acho que no paleodiario) que talvez um aumento de carbs para 100 a 150g / dia poderia ser benefico em mulheres. Pensei em usar a mandioca (100g tem 30g de carbo, ok?) em uma refeiçao junto com HIGH FAT, e outros carbs vindo de outros legumes permitidos (brocolis, couve flor, tomate, pepino, pimentões...) . De frutas, consumo as vermelhas e esporadicamente uso bananas não tão maduras (3 unidades, que consumo em 3 dias em uma receita de bolo LCHF com oleo de coco, farinha de amendoas, ovos, whey protein). Fiz uma lista com os principais tuberculos (mandioca, batata doce, inhame, abobora cabotiã, abobora japonesa, babata baroa, batata inglesa...) e algumas frutas (com baixo IG) contendo os valores de carbs/100g , para que eu possa ter um controle para que não passe de 100g carbs/dia . Posso usar esses tuberculos em receitas LCHF , tipo purês com manteiga, azeite, bancon, queijos (claro, que respeitando a quantidade de carbs)? Mil perdões por tantas dúvidas, mas tenho medo de colocar tudo a perder... acho que virei CARBOFÓBICA rsrsrsrsrs... mas cheguei a conclusão que talvez o consumo em torno de 50g/dia pra mim não seja tão eficaz, apesar de eu estar COMPLETAMENTE ADAPTADA e em CETOSE (uso aquelas fitas que medem na urina, apesar de saber que não são tão fidedignas). Gostaria muito de perder mais peso. Tenho 35 anos, 1.56, 55kg (perdi 6kg até agora) . Aguardo ansiosa a resposta !Obrigado ! Mas posso ser sincero? Eu confesso que antigamente eu fazia isso, afinal pensava que carboidratos densos eram bem mais saudáveis do que gorduras saturadas. Não faço mais desde novembro de 2011, graças ao Dr. Souto. Não complementei meu pensamento: tirando o extremismo, não me preocupo demais não. Mas prefiro ainda qq comida feita em casa. nossa, que bom !! .. Obrigada Doutor. E aí vai meu enésimo obrigado! Dr. Souto, ja viu isso !? Existem evidencias que demonstre que uma alimentação vegana não é para crianças, ou mães amantando !? Eur J Pediatr. 2011 Dec;170(12):1489-94. doi: 10.1007/s00431-011-1547-x. 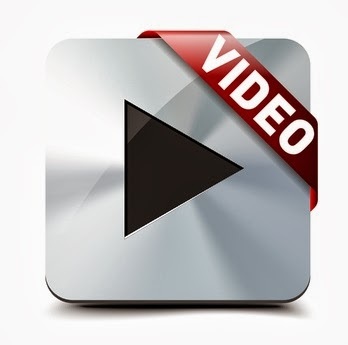 Epub 2011 Sep 13. Clinical practice: vegetarian infant and child nutrition. Van Winckel M 1, Vande Velde S , De Bruyne R , Van Biervliet S .
The aim of this review is to give insight on the benefits and risks of vegetarianism, with special emphasis on vegetarian child nutrition. This eating pattern excluding meat and fish is being adopted by a growing number of people. A vegetarian diet has been shown to be associated with lower mortality of ischaemic heart disease and lower prevalence of obesity. Growth in children on a vegetarian diet including dairy has been shown to be similar to omnivorous peers. Although vegetarianism in adolescents is associated with eating disorders, there is no proof of a causal relation, as the eating disorder generally precedes the exclusion of meat from the diet. A well-balanced lacto-ovo-vegetarian diet, including dairy products, can satisfy all nutritional needs of the growing child. In contrast, a vegan diet, excluding all animal food sources, has at least to be supplemented with vitamin B(12), with special attention to adequate intakes of calcium and zinc and energy-dense foods containing enough high-quality protein for youngchildren. The more restricted the diet and the younger the child, the greater the risk for deficiencies. a coisa anda muito extremista, xiita. todo extremo da merda. Dr. Souto, o que tu acha do Picolinato de Cromo? Pedirei meus primeiros exames de sangue após 7 meses de dieta, estou pensando nos seguintes: Glicemia de Jejum; Hemoglobina Glicada; Perfil Lipídico (HDL,LDL,VLDL e triglicerídeos), Homocisteína; Vitamina D; Proteína C-Reativa; Insulina de Jejum; Ácido Úrico; Uréia e Creatinina. Possuo síndrome de Wolff Parkinson White, só fiz eletrocardiograma há 5 anos atrás onde foi detectado e fiz mais exames constatando que não tenho sintomas. Nesse caso há algum outro exame a se pedir também? Jairo, quanto ao problema de condução cardíaca, melhor se assessorar de um cardiologista. A lista de exames está bem. 2) Colesterol não tem nada a ver com esse distúrbio de condução elétrica do coração. eu li en algum lugar que nao mi lembro,que dis que quando vc começa a fazer a dieta paleo,LCHF no começo talves aumente sim o colesterol e muito,porque seu corpo nao esta acostumado com tanta gordura na dieta,depois de um tempo ele normaliza sosinho quando se acustumar com a nova dieta.e verdade doutor solto ? 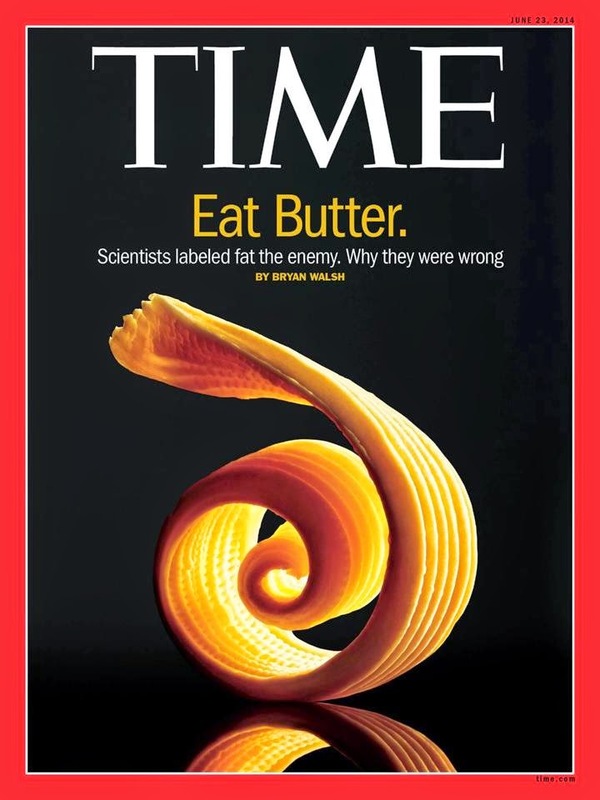 Study: Saturated Fat as Bad as Sugar! the evidence argues that way -- not because I own stock in Brussels sprouts. A Paleo style diet that derives 50 percent of its calories from game is still "mostly plants" by volume, and a legitimate variation on the theme for those inclined to go that way." Eu CONCORDO com o parágrafo acima, e a minha dieta é, de fato, mais de 50% plantas em VOLUME (chego a comer 2 pratos cheios de salada antes do meu bife com ovos, e minha janta ontem foi abacate). Prezado Dr Souto fui à um endocrinologista famoso aqui em Aracaju há 6 anos que me falou sobre essa dieta. Pensei que ele era maluco. Fez explicações sobre resistência à insulina, e que as gorduras não eram ruins. Não fiz nada do que ele disseComo vi resultados num amigo meu que está com ele voltei há 1 mês pra ele e me solicitou exames e me falou a mesma coisa. Recomendou seu site e me explicou que a saída da obesidade é por aí. Desde então não consigo desgrudar daqui. Muita explicação, muito artigo. Só não entendi o porque do nome dele não está aqui pois ele defende esse estilo há anos, inclusive com entrevistas na tv local. O nome dele é Amos. De qualquer maneira estou seguindo a dieta e experimentando uma nova vida, sem igual. Obrigado por ajudarem a pessoas vítimas dos carboidratos e má ciência como nos. Cordial abraço. O nome dele não está aqui porque ele não me pediu - e eu não posso colocar o nome de ninguém sem autorização, certo? Mas, por favor, fale com ele - eu faria questão de colocá-lo na lista. ele ta fazendo para hipertrofia,mas por questões financeiras ele ta comendo so abacate alface e ovo,e de ves en quando frango,ele gostaria de saber se ele pode ficar so com esses alimentos,ou o senhor recomenda ele comer outras coisas? Lembrando que o fumo era um hábito indígena das Américas, que os europeus apenas copiaram no final de 1500. É vai me convencer de que esse povo não fuma?? penso que seria sensato incluir mais verduras e outras carnes. Miúdos, fígado, moela, coração, são baratos e completos em termos nutricionais. outra pergunta andei pesquisando aqui na feira do meu bairro o cara disse que a manteiga de garrafa do sertão e a mesma coisa da manteiga ghee ? e verdade isso ? Uma das coisas que mais gosto no Dr. Souto é sua honestidade intelectual , ele nunca disse que essa dieta vai funcionar com todos. Provavelmente nada nessa vida funciona sempre, e nem com todo mundo. Ele não obriga ninguém vir aqui, ele não vende acesso ao conteúdo que escreve. E tudo que ele expõe, não é mera especulação ou achismo, a grande maioria dos estudos aqui presentes são oriundos de intervenções clinicas, estudos aonde a relação de causa x efeito está ali presente. Inclusive abre espaço para criticas , desde que essas sejam no mesmo molde, com alguma base cientifica, e não mero achismo. Mas veja, só porque essa dieta não funcionou com você, precisa jogar toda essa frustração e achar que ela não funciona com ninguém !? Eu perdi 40kg(120->80) , em um curto espaço de tempo( menos de 1 ano, sendo que perdi 27kg em 4 meses sem exercícios físicos, só depois eu os introduzi), e sou eternamente grato, porem veja, eu sou uma pessoa de 22 anos, e que provavelmente tenho grande facilidade de me tornar resistente a insulina, essa dieta, principalmente em versões mais cetogênicas foi feita sobre medida para pessoas com o meu quadro clinico. Possuíam obesidade, resistência a insulina acentuada porem não diabética e não houve ainda grande dano metabólico principalmente permanente. Veja, quando você isola as pessoas obesas em , Resistentes ou sensíveis a insulina em grupos e aplica dietas, você vê que ambas na tanto HC quando LC perderam a mesma quantidade media de peso, inclusive obesos sensíveis a insulina perdem mais peso com HC. Porem , numa maneira geral, grande parte dos obesos , provavelmente é resistente a insulina, mas isso não significa que você é. Porem tudo isso ainda te serviu para adquirir conhecimento, porque muitas coisas , mesmo que exista toneladas de estudos que demonstre relativamente benefícios de determinadas intervenções , existem pacientes que simplesmente não respondem a ela. Isso demonstra que seu corpo trabalha para ele, e não no que você acredita ou como quer que ele trabalhe, e como próprio Dr. Souto disse uma vez, suas tecidos receptores são surdos, mudos , cegos e burros, mas você não, e uma hora vai conseguir achar uma intervenção que funcione para você, mas até lá não precisa desse xingamento todo, porque afinal, garanto que essa dieta não te fez engordar, não te fez mal e ninguém ta te obrigando a segui-la.